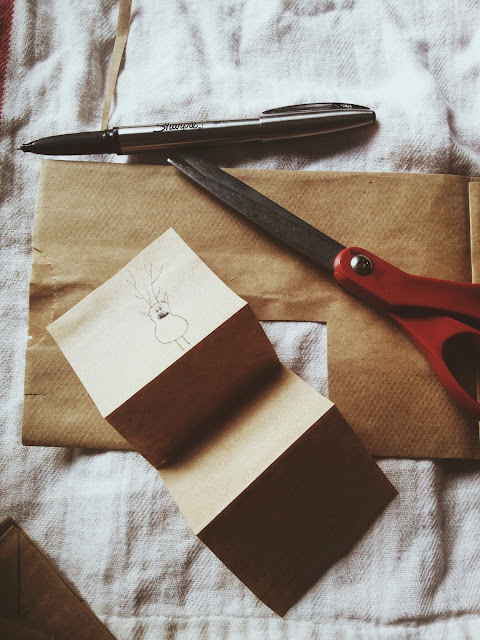 The holidays for me is a time to show off my creative side, it is because I have time to actually create, and plan out things to make. I usually homemake my Christmas gifts, but this year, I am only doing a portion of everyone's gift homemade. I thought that I would homemake the cards or Christmas tags, and came up with these super easy, super adorable Christmas tags or cards. 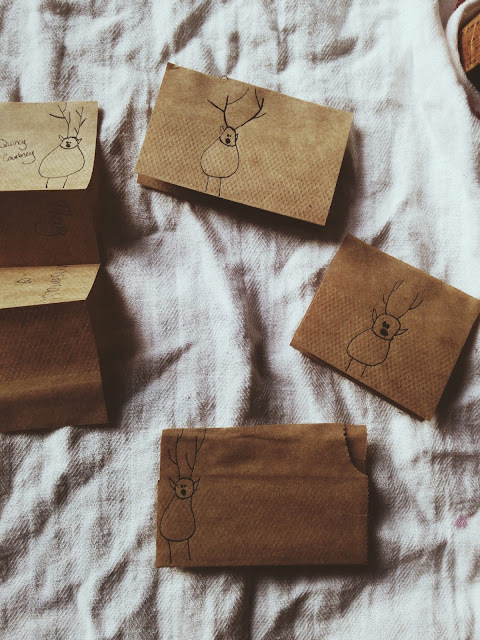 The best part about these little guys is that they can stay folded in Christmas tags, or be unfolded into cards. 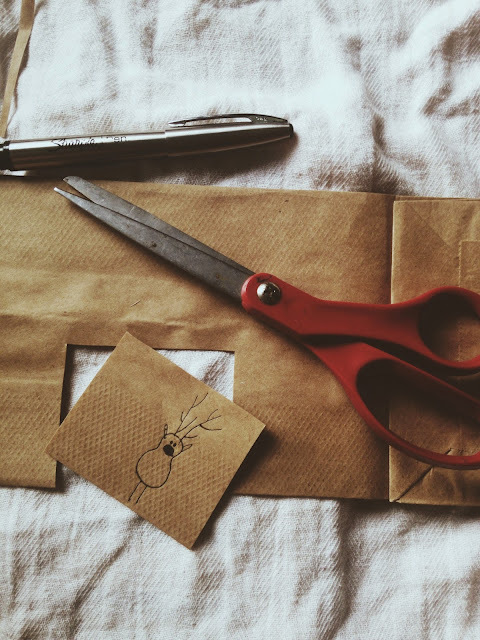 All you need for these tags/cards are as many brown lunch sacks as it takes, a pen, and some scissors. 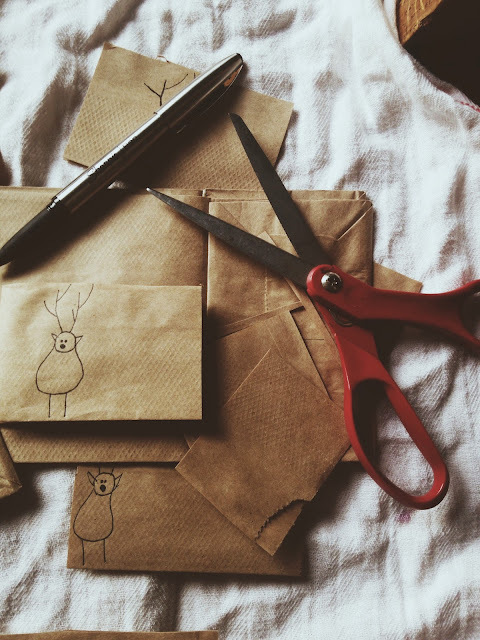 You want to draw the reindeer on the edge of the bag, and cut them out in squares, or rectangles. It will then unfold into cards. 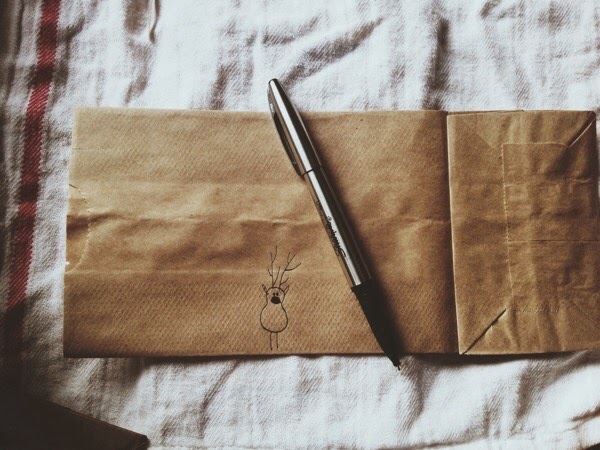 They are simple, and very cute. 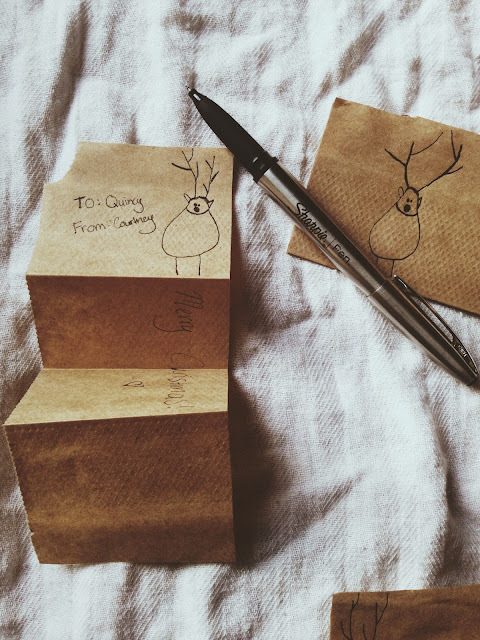 I like to draw the reindeers' faces kind of goofy and silly looking to raise a smile out of the recipients. 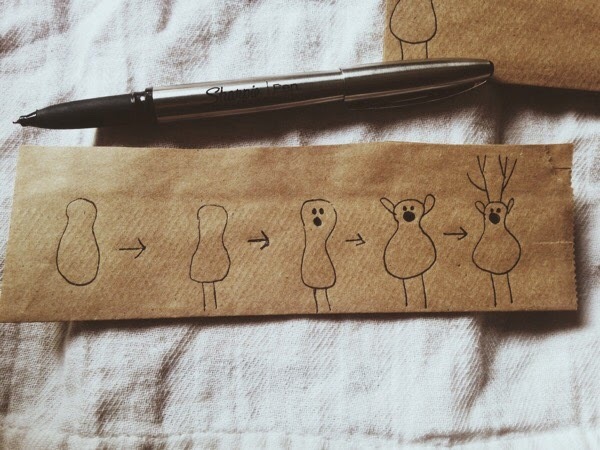 Here is a quick, visual how-to on how to draw the reindeer. 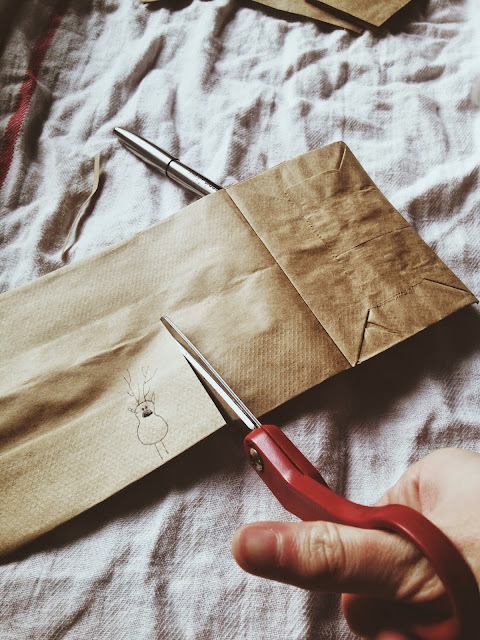 If you have any Chistmas DIYs, I would love to know! Send them to me in the comments below, or contact me via e-mail. My e-mail can be found in the "About Me" section on the top of the left sidebar.